Linux Multi-threading applications at times require passing information from one thread to other. One way is to use some kind of thread synchronization mechanism. This post discusses FIFO, one of the primitive IPC mechanisms which can be used effectively for Inter Thread Communication also. 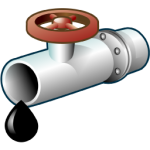 FIFO or named pipes is one of the simplest yet fast communication method. FIFOs have an inherent property that both the ends should be opened together. open() call blocks for read() till open() for write() gets called by another process. This behavior can be overridden by calling open() in non-blocking mode. Any of the mechanisms like select(), poll() or epoll() can be used. I have used select() in code example below, as it is the simplest of all. I wish to write another post explaining the difference between these three. Example code in C language is given below for a kick-start. Good Work ! Keep it up. This pointer must convey ownership of the message. When finished with the message, the thread must either discard the message or pass ownership to some other entity. I changed writer to a different thread. Not sure why “readFD+1” is being used rather than just “readFD” in the select statement? Great code Ashish, how can we terminate form the continuous loop? plus can we do this for two functions in a program meaning one function writes the data while the other reads it, no need for main function? This code is written as a reference/guideline only. Functions can be used.